Looking for a way to occupy my 100th day of summer vacation, I asked my dad whether he wanted to go to Miraku Japanese Restaurant in Langley or Sushi Bella in South Burnaby for sushi. Without any hesitation, he opted for sushi in Langley despite the extra bridge crossing fees we would incur. I had read many positive reviews about Miraku online, so I was hopeful that Miraku would produce a miracle. 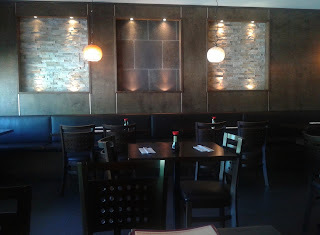 The exterior of the restaurant is very unassuming, but inside, the modern decor is appealing and the seating is comfortable. The waitress gave us a very polite welcome. 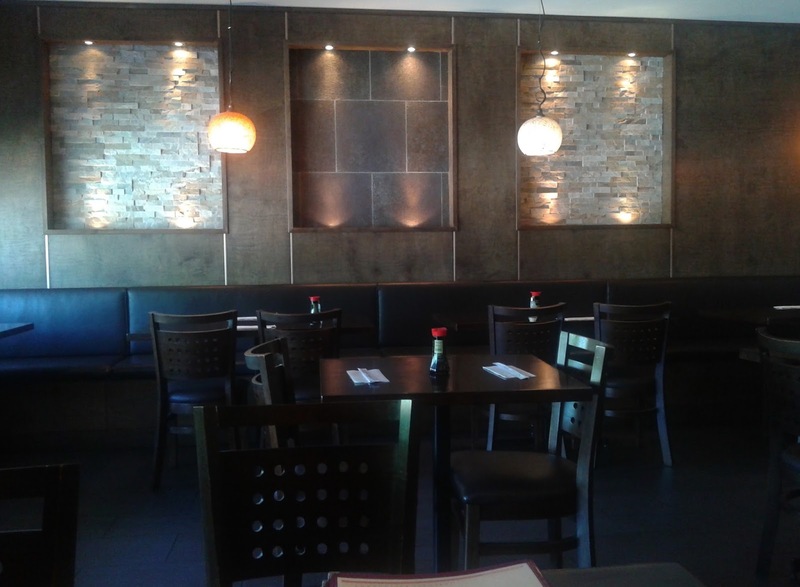 However, despite the positive reviews, there were no diners in the restaurant at 1 p.m. other than us. In fact, for almost our entire stay, no one came into the restaurant. We ordered the Miraku Box D, which came with a Miso Soup. 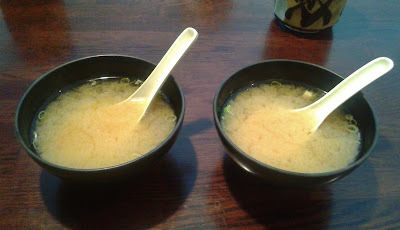 The waitress was nice enough to give us two Miso Soups so that we would each have one. The Miso Soup was garnished with green onion and tofu. Although the consistency was on the thinner side, the soup had a well-balanced flavour. 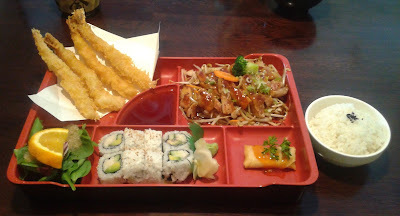 The Miraku Box D also came with four pieces of Prawn Tempura, Chicken Teriyaki, a Salad, a California Roll, a Spring Roll, and a bowl of rice. At $13.95, this is one of the more affordable things on their menu and is available for both lunch and dinner. 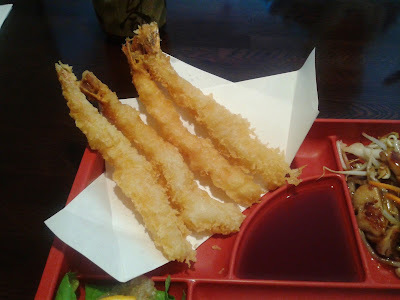 I wasn't a big fan of the Prawn Tempura as the batter was overdone. The prawns were chewy and tasted like they had been stored for too long. This was supposed to be my dad's filler, but it became my filler instead. My dad did not like either the rice or the chicken, so he wouldn't eat more than a third of it. I found it passable. The rice was substandard, but the sautéed bean sprouts were well-executed. The chicken was tender, but it was not the freshest and tasted overly salty. The Salad consisted of mixed greens dressed with an apple-flavoured vinaigrette. The dressing had a heavy mirin flavour as well, which I found slightly overwhelming. The California Roll was about as good as the average California Roll from a supermarket. The only good thing about it was its neat formation. 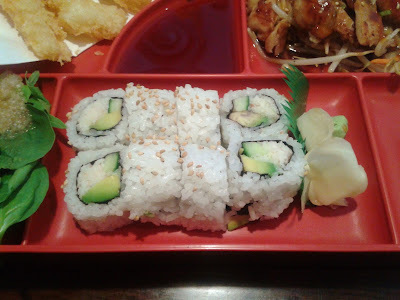 The sushi rice was mediocre, and the large pieces of cucumber were obtrusive to the overall texture of the roll. 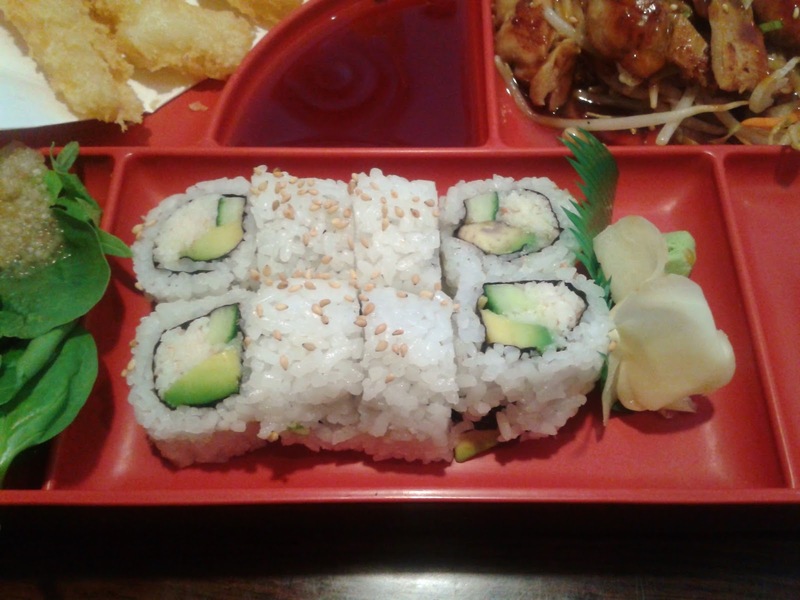 Also, the avocado looked very unappetizing in the top-right piece, so I just handed that piece back to the waitress. Since she had been so friendly the entire time, I told her not to worry about it. 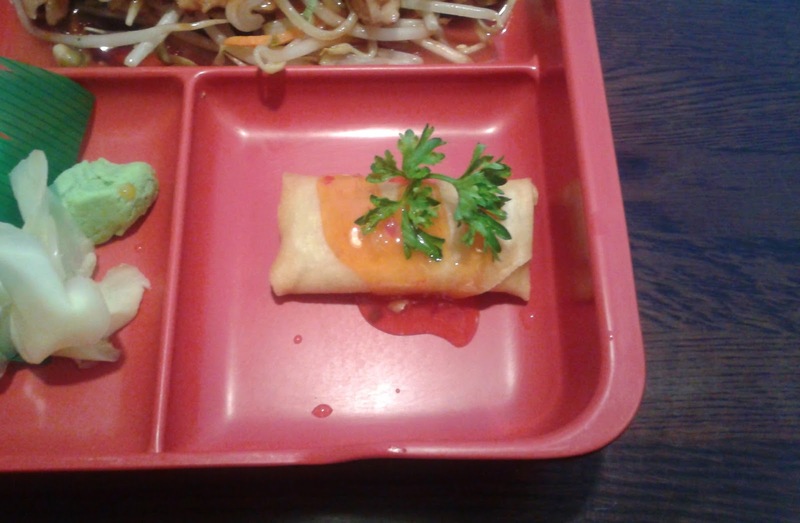 The best item of the entire Miraku Box D was the lone Spring Roll. Dressed with a dab of mildly spicy sweet chili sauce, the pastry was crispy and not hard. The filling was moist and juicy. 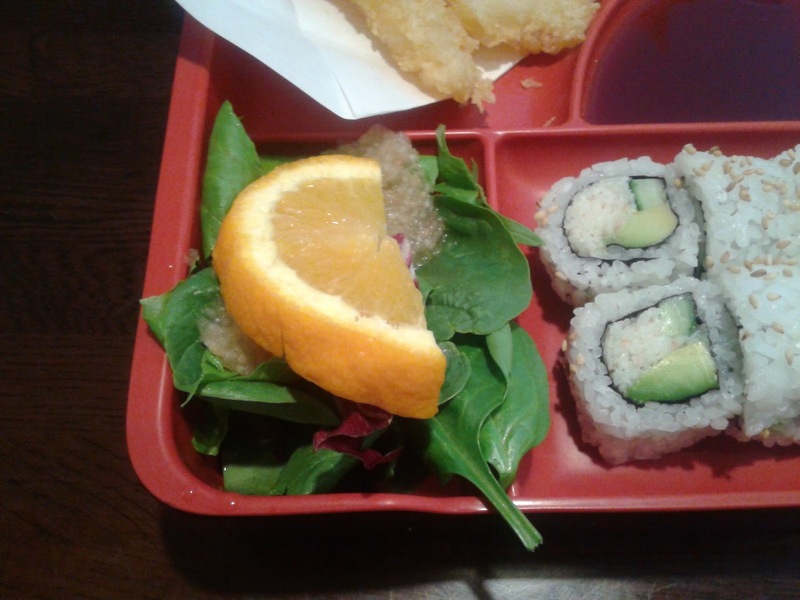 I would gladly exchange the Salad and the California Roll for a few more Spring Rolls. For the same price as the Miraku Box D, I got the Torched Roll, which came with prawn, crab meat, avocado, salmon, torched tuna, green onion, and tobiko. Rating this roll was a real head-scratcher for me. Yes, the sushi rice and prawn tempura were once again mediocre, but they managed to showcase just the right ingredients to create a wonderful burst of flavours. I could taste the seared tuna, the avocado, the prawn tempura, and the rich crab meat all in one bite. 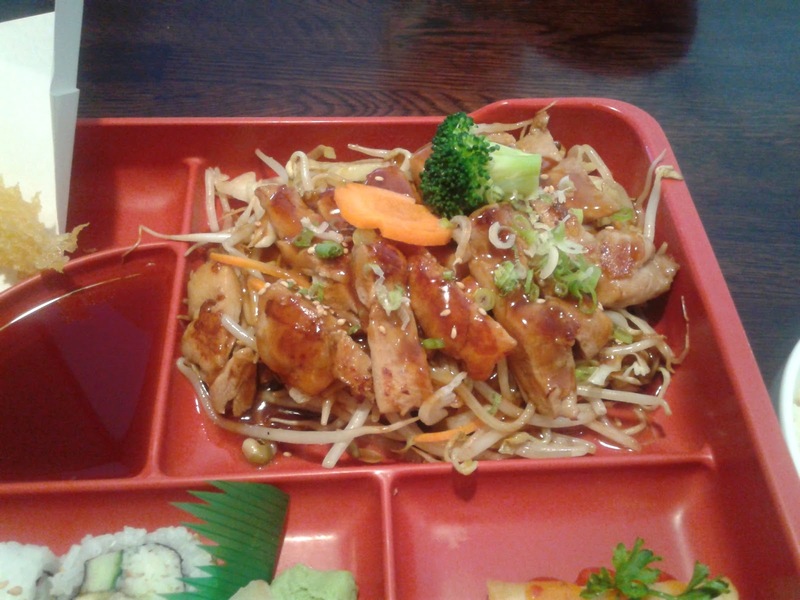 The teriyaki sauce and spicy mayonnaise were applied in just the right amounts and made for a very tasty combination of sauces. 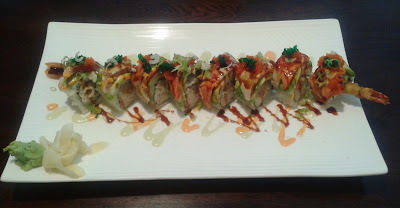 My dad and I both enjoyed this roll, and I decided to award more points on the basis of beautiful presentation and a well-crafted harmony of flavours. 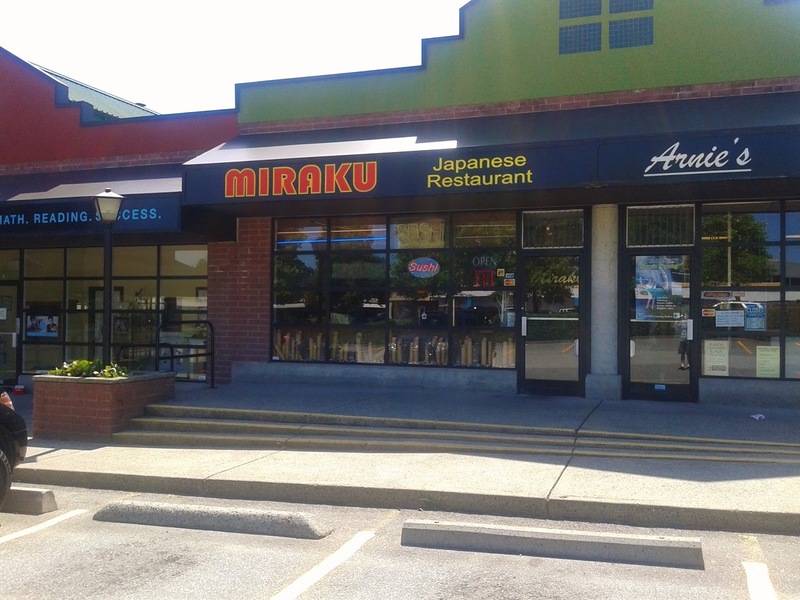 Friendly service, a refined atmosphere, and special rolls seem to be Miraku's good points. However, due to low traffic, freshness became an issue, and the higher prices were largely unjustified. As a result, I decided against ordering any more food. Plus, I was quite full since my dad only ate about $5 worth of food.